When you plan to buy a quartz kitchen worktop you are giving your home a very unique look. Every single piece of quartz that you will be getting has a very different look, creating a very characteristic appearance for your kitchen space. Quartz Countertops will never begin to fade as long as you have it, while you are continuing to take good care of it. 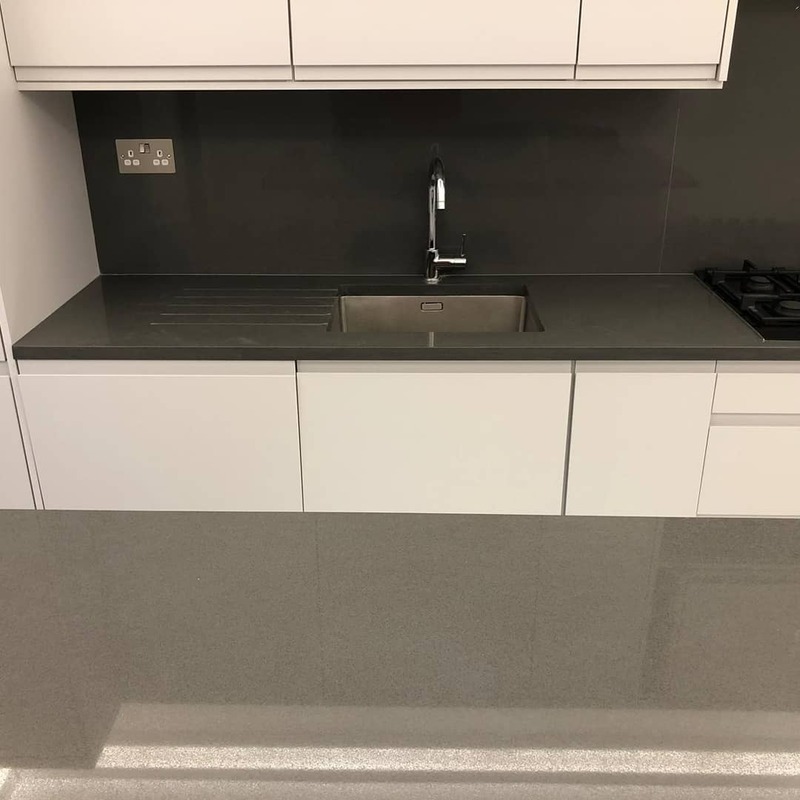 Kitchen quartz worktops is also practically stain proof so you never have to be concerned when spillages occur, as the stone will never soak up or harbour any liquids. Thanks to the non-porous properties, it will also never harbour any bacteria or encourage their growth making it a superbly hygienic material for your kitchen. Once you choose the Quartz or Granite worktops colours, Our team order your slabs from the supplier, Silestone, Unistone, Limestone, Granite supplier or any other slabs supplier mange to deliver these slabs within few day. In the meantime our engineer will do the template for your kitchen worktops and discuss every single detail with you. The entire fabrication process of your Quartz Stone worktops or Granite worktops will be finished by our engineers in-house which means that we can achieve our goal of providing and fitting your worktops within 5 days. As we never hire any subcontractors you can be sure that our work is efficient as promised. The fabrication process of making your worktops is done with our cutting edge computerized systems as well as semi-robotic systems. Here at Palazzo Stone we are able to supply fit quartz kitchen worktops and granite kitchen worktops in Canterbury and you can be sure that you are getting the best price within your area as we offer all of our customers the same brilliant price match. We promise to beat absolutely any quote that you can bring to us by 10%! We also give all of our customers a lifetime warranty with their kitchen worktops as standard. Quartz Worktops In Canterbury Get A FREE Quote Today! If you are interested in getting a FREE quote from us, then simply give us a call to speak directly with us or go online to get a quote. Our friendly team of advisers will be happy to assist you with any questions or to talk through your ideas, offering you some options based on your needs.